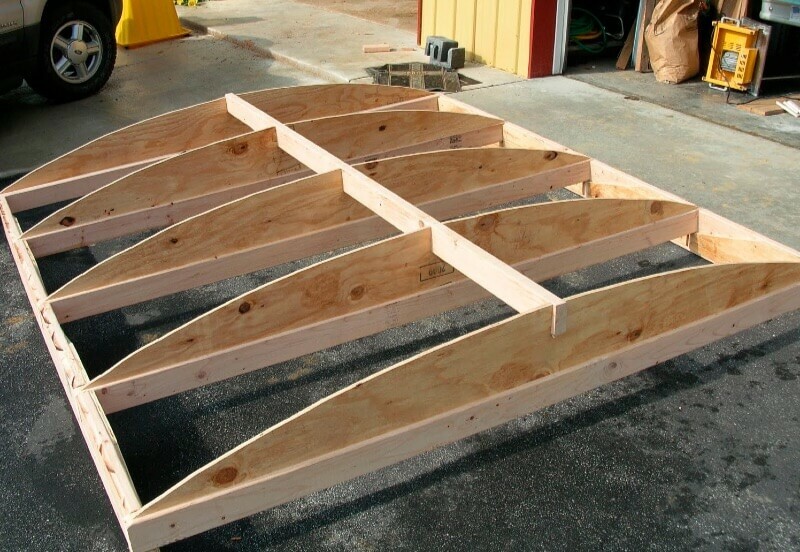 If you look hard enough you will find some ingenious structures designed to provide affordable, insulating, and cooling storage for your vegetables, fruits, cheeses, or bug out foods or supplies. There are quite a few great designs for these pre-fabricated cellars or shelters popping up each year. And since more people are opting for a more self-sustaining lifestyle, this market will undoubtedly grow even more. You’ve probably seen a few wine or traditional looking cellars in your lifetime. However, there are some innovative products currently out that make perfect sense for going off the grid and also helping to keep your food nice and cool. 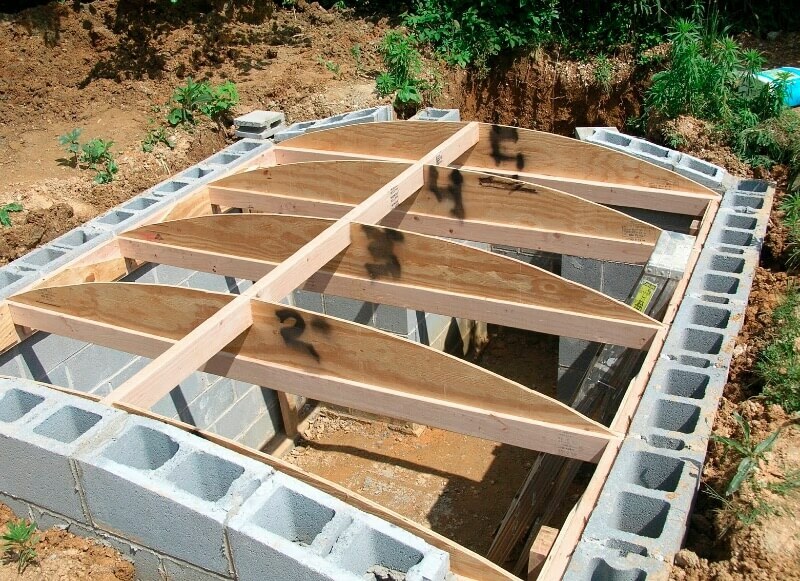 Let’s look at some of our top picks for an underground cellar or shelter for your home or land, starting with the Weltevree Groundfridge Cellar. 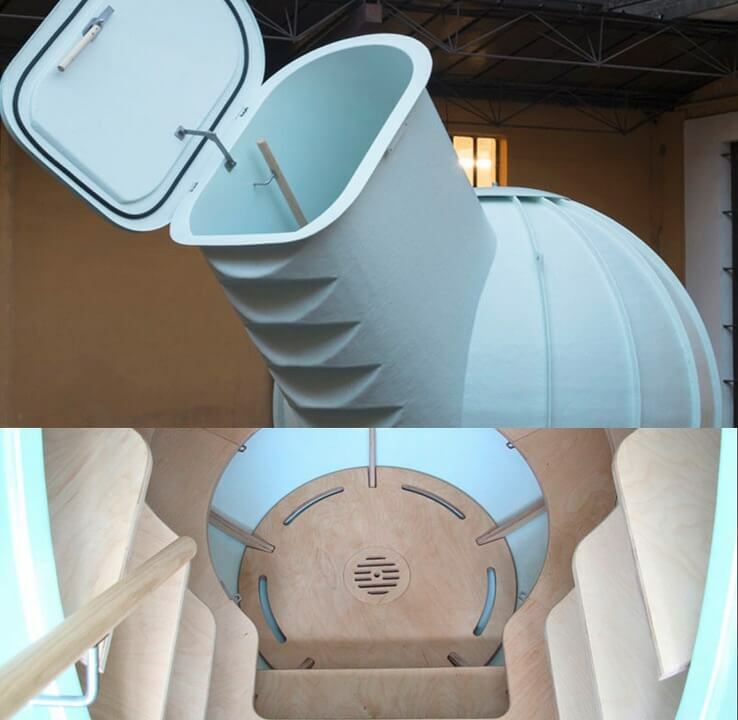 A few things to note about The Weltevree Groundfridge Cellar is that it is air and water-tight, animal-resistant, and fitted with a ventilation system (which can be operated using an app) that monitors the cellar’s temperature and humidity. 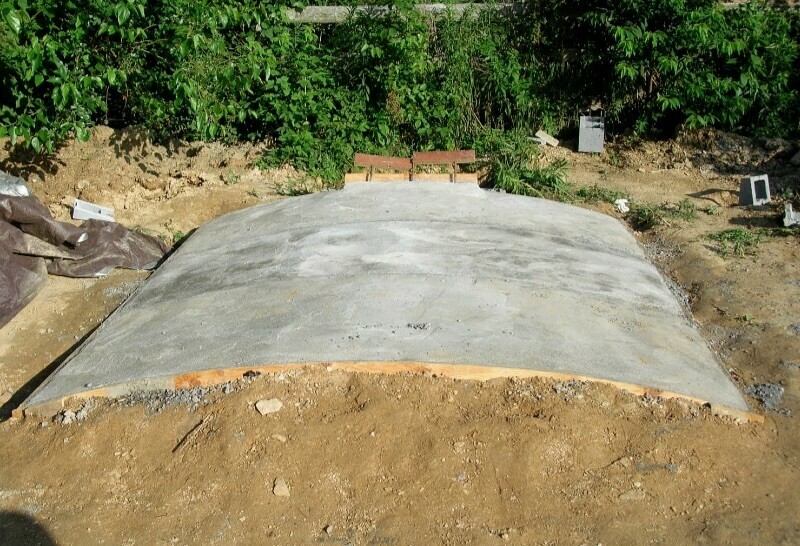 The shell of the cellar is hand-laminated and made of polyester. It has a wooden handrail and unique shelving that encircles the entire inside of the cellar. Other nice options you can add include LED strip lighting for low energy consumption and a cabinet for more storage. 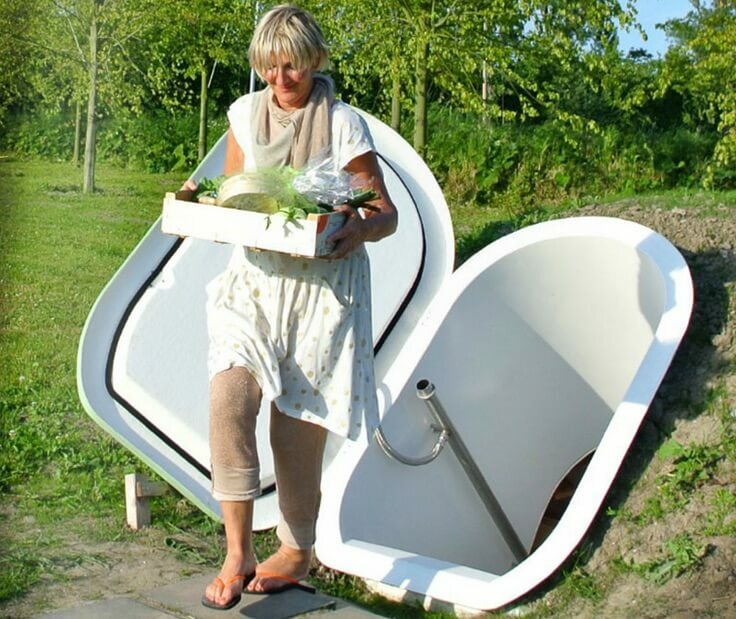 The Weltevree Groundfridge can hold the capacity of 20 refrigerators without the use of electricity. The insulating effects of the soil around it and water keeps the temperature between 50° and 53° degrees Farenheit (10 and 12 °Celsius) throughout the year — perfect for your veggies! Some straight pieces of wood or metal or plastic to make a compass. Some people with the aptitude and experience may just opt to build their own cellar from scratch. 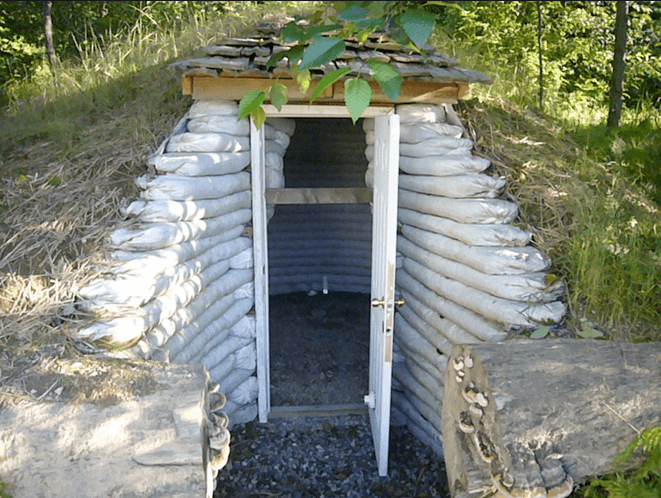 Much like the Earthbags cellar/shelter mentioned above, a true DIY shelter could be your best option. If you have the yard space, a bobcat, some concrete and some other materials to make it all happen. Here is one DIY underground cellar with the top that’s a standard wood building structure that we really liked. 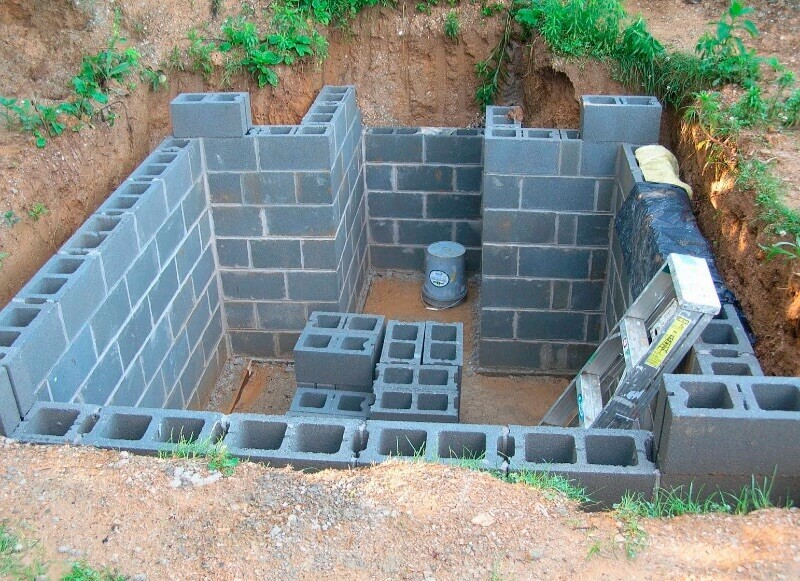 There are plenty of DIY underground cellars and shelter plans online. 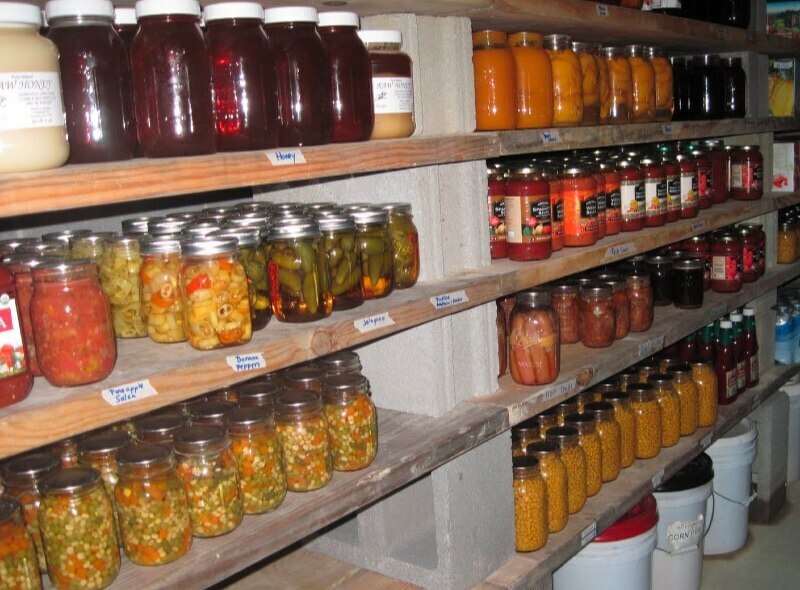 Much like the above root cellar, the one below is also a DIY root cellar. You can find the information on this one at Robert’s Projects website. 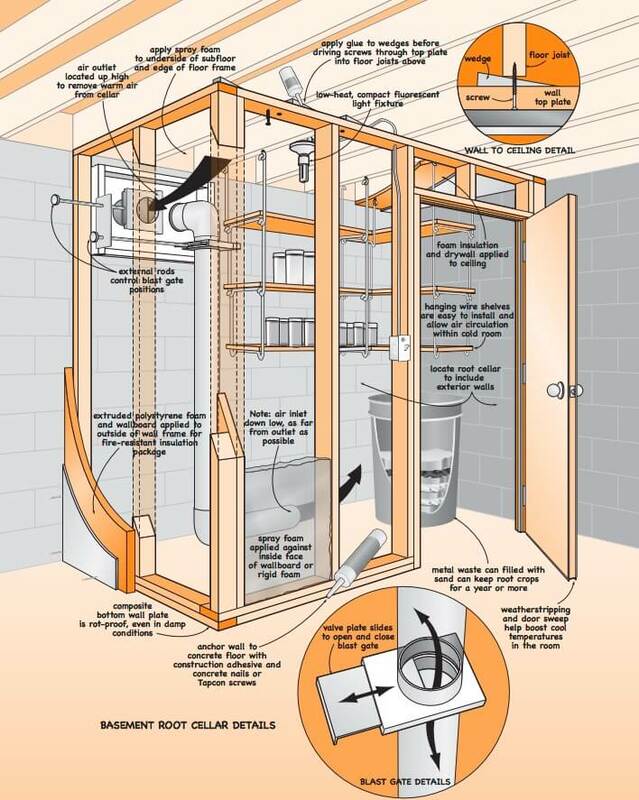 Do you have any cellar or shelter ideas you’d like to share or tell us about? Please leave your comment below… Or, if you have any links to other cellar plans we may be able to add here, please leave them in the comments and we’ll look at adding them.